Caregivers often put off the “legal stuff” because it’s confusing and it can be difficult to know where to start. But when you’re caring for an older adult, an important part of the job is making sure essential legal documents are in order. That allows someone to help with financial or medical decisions when necessary. Getting the paperwork done before it’s needed will save time, money, and headaches down the road. To help you get started, we found a helpful free guide from ARAG that gives an overview of caregiving legal basics. It uses simple and straightforward language to cover key issues like planning for when your older adult will need someone to speak for them, housing options, end-of-life choices, and more. We explain what’s in the guide and how it helps with important legal issues related to caregiving. We like this free guide because the information is broken up into sections that are easy to read and understand. We also like that it gives unbiased information that helps you understand which legal documents are needed, why they’re important, and how to get started. Tips on how to choose representatives, save on taxes, etc. What Is a Living Will and Why Do Seniors Need One? 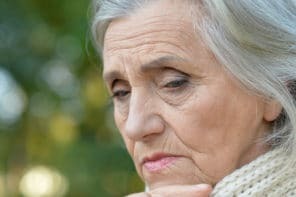 Caregiving: an overview Guide… I follow the link for this from DailyCaring.com. I also searched for this guide. I cannot find it. Does the guide go by a different title? Has ARAG discontinued it? Thank you so much for letting us know! We do our best to monitor for broken links, but sometimes one will slip through. We’ll contact ARAG to find out what happened to their guide. Thanks for your patience! We’ve got a new (working) link to the Caregiving overview guide from ARAG. You should be able to download the guide now. Thanks! So glad this is helpful.